There’s no shortage of great American films by British directors – from Alfred Hitchcock to Alexander Mackendrick, homegrown filmmakers have adopted an outsiders’ perspective to pick at the American dream. But traffic coming the other way is surprisingly light: while Hollywood loves to take advantage of our soundstages and expert craftsmanship, they’re not so interested in telling our stories. 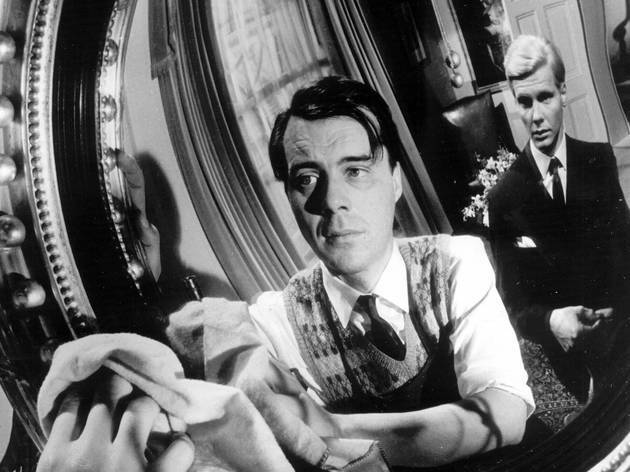 Which makes 1963’s ‘The Servant’ all the more special: thanks to the detached, dispassionate viewpoint of American expat and McCarthy refugee Joseph Losey, it’s one of the most insightful films ever made about the British class system. In terms of tone and mood, ‘The Servant’ stands almost alone. You’d have to seek out two other guys-go-mad-in-a-flat movies, ‘Performance’ and ‘Dead Ringers’, to find anything that approaches its atmosphere of febrile desperation and deepening identity confusion. The performances are note-perfect and Pinter’s script is smart, subversive and sly, lifting the lid on our age-old feudal hierarchy and having a good dig about inside. But it’s Losey’s direction which sets the nerves jangling: all deep shadows, distorted reflections and glowering close-ups, he quite literally takes us through the looking glass into a charged, claustrophobic fever dream of privilege, power and perversion. 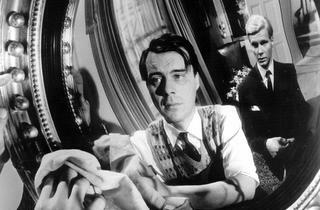 Like most of Pinter's work, the characters are basically empty and do not connect emotionally. The motivation is arbitrary and in many respects implausible. There is no emotional core to the characters. But the Johnny Dankworth score, with those saxophones ruminating, is definitely cool. When this film was released in 1963 I was eight years old here in the States. It must have had a hell of a time getting past U.S. censors. I saw it for the first time last evening and it gave me the seem feeling of surrealism as when I saw Harol Pinter,s The HomeComing in London, when I was 23 years old. I liked the movie, but don't pretend to have it fully "diagramed". Perhaps there is an inherent "off kilter "between the American and British "English" ; not just in what's said but what's not.